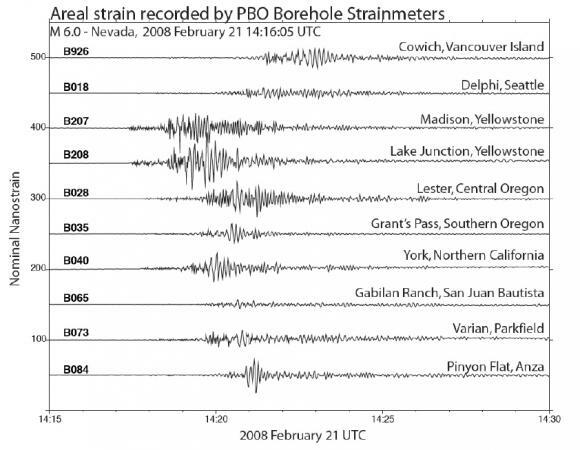 On Thursday, February 21, 2008, an earthquake occurred in north-central Nevada 10 km ENE of Wells, Nevada, near interstate 80. The depth of the rupture was determined at 6.7 km. Heavy snowfalls impeded initial assessments of surface traces in the field, but modeling results based on the seismic data (Hammond and Kreemer, University of Nevada Reno) produced expected horizontal displacement magnitudes of up to 1 mm detectable at several permanent GPS stations in the EarthScope PBO network (stations RUBY, GOSH, ELKO, P007, P114 are all about 60 km from the epicenter). High-rate (5 Hz) GPS data from these stations as well as 2 reference stations for February 20-22 have been retrieved by PBO and are available at PBO Web (Dates with links listed in upper left corner of page). 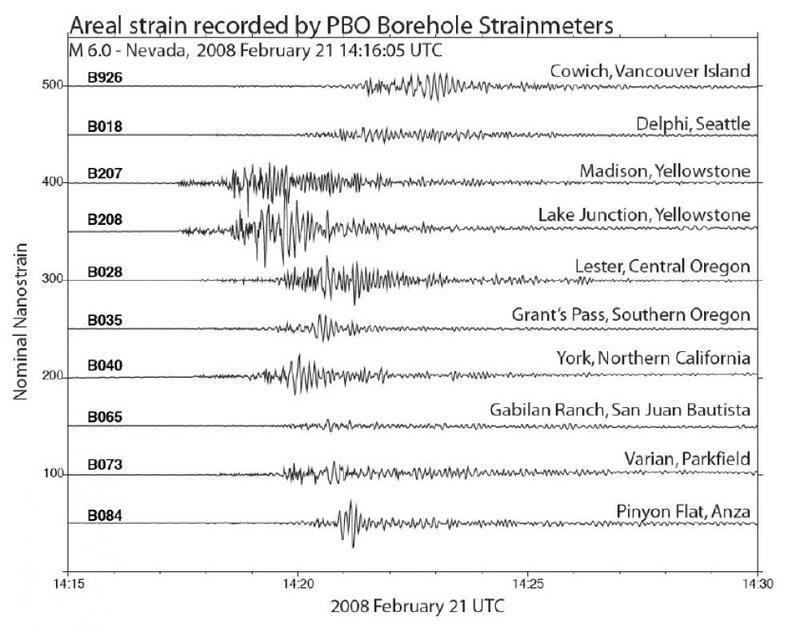 PBO strainmeters/seismometers in Yellowstone, Oregon, and California recorded the event.